Nathan Pedestal - 32"Hx16"Sq, Black. Nathan Pedestal - Get The Modern Look You Want With A Display Pedestal - Whether It's A Favorite Photo Or A Treasured Heirloom, The Nathan Pedestal Will Display It With Fantastic Style. It's Made To Last With A Stacked-Square Design And Will Add A Distinctive Focal Point To Most Contemporary Or Modern Decors Instantly. Add Its Modern Style To Your Home Decor; Order Now.Quality-Crafted Of Wood.Enhanced By A Beautiful Black Finish. 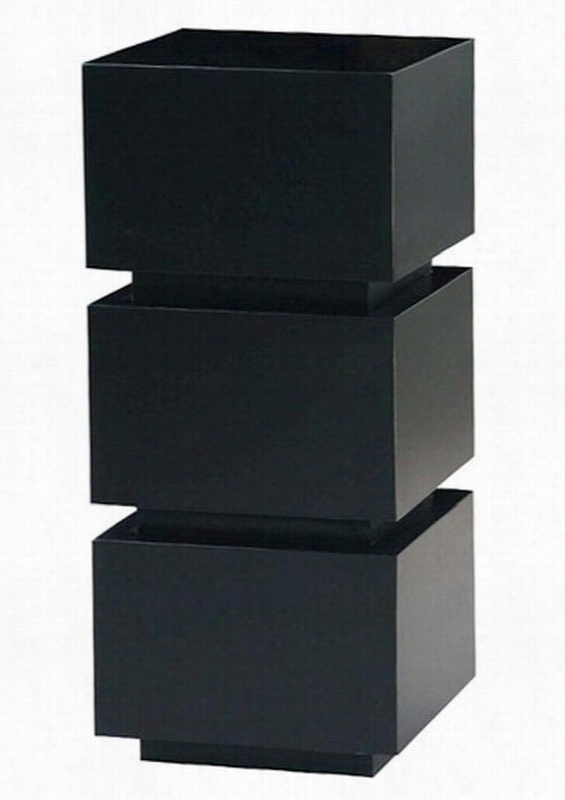 Obit Pedestal - 36"Hx16"D, Black. 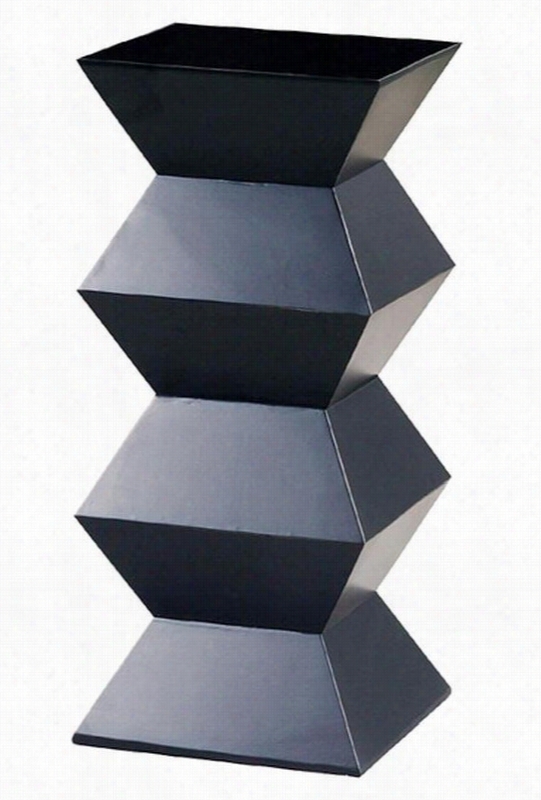 Obit Pedestal - Create An Eye-Catching Space With This Display Pedestal - The Striking Angles And Sleek Finish Of The Obit Pedestal Makes Adding Modern Style To Your Space Easy. Durably Made, This Stunning Piece Of Home Decor Is A Great Way To Showcase A Decorative Item In Your Bedroom, Living Room Or Entryway. Order Yours Now.Quality-Crafted Of Wood.Enhanced By A Beautiful Black Finish. Apollo Pedestal - 17"Sqx42.5"H, Ivory. Apollo Pedestal - Make A Stand With Our Apollo Pedestal Stand - Our Sculptural Pedestal Stand Is The Perfect Addition To Any Room. 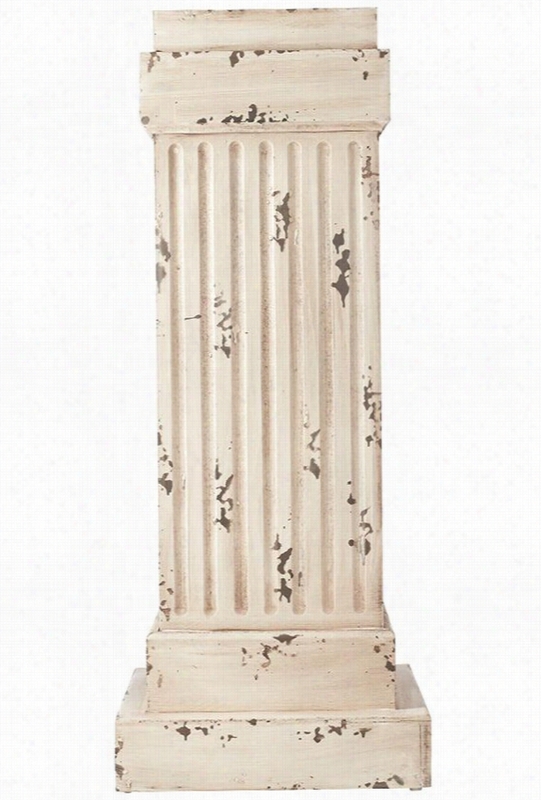 Finished In Cream With A Distressed Look, The Apollo Pedestal Holds A Variety Of Your Favorite Objects Including Statues, Picture Frames And More. Crafted Of Durable Materials For Years Of Use. Cream Finish Completes The Look. Daniella Mercury Glass Pedestal Bowl - 7"Hx7"Diameter, Mercury Glass. Daniella Mercury Glass Pedestal Bowl - This Mercury Glass Bowl Puts Your Decor On A Pedestal - Small Additions Can Bring About A Spectacular Change In Your Settings, As Our Daniella Mercury Glass Pedestal Bowl Demonstrates. This Ribbed, Fluted Bowl Sits Elegantly Atop A Classic Pedestal, Rendered In An Antique Silver Finish. Whether Used As A Potpourri Dish, A Centerpiece By Itself Or As A Flameless Tealight Candle Holder, This Mercury Glass Accent Bowls You Over With Its Beauty. Ribbed, Fluted Bowl Atop Classic Turned Pedestal. 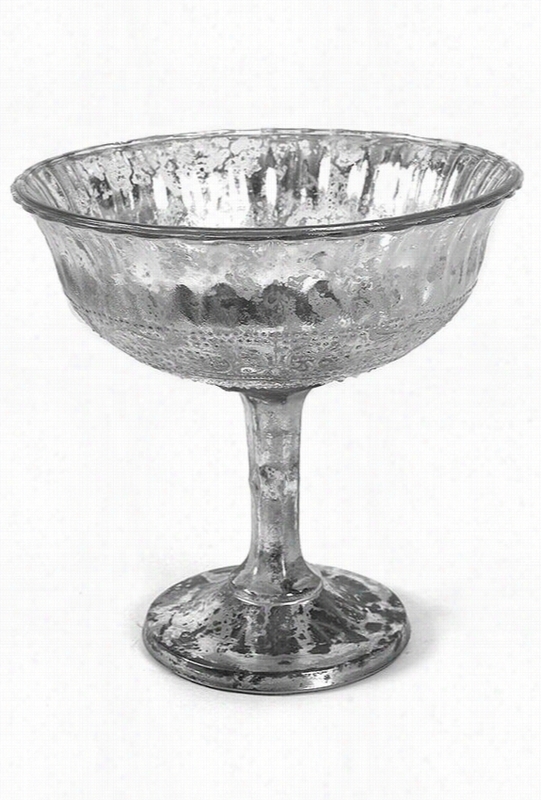 Crafted Of Glass In An Antique Silver, Mercury Glass Finish. Not Food Safe. Savannah Pedestal - 29.25"Hx12"Wx12"D, Weathered Brown. Savannah Pedestal - A Display Pedestal With An Industrial Feel - The Slim Metal Legs And Weathered Veneer Top Of The Savannah Pedestal Make It The Perfect 'Little Extra' For Your Home. Place Plants, Figurines Or Photos On This Decorative Pedestal In A Narrow Entryway Or Hall For A Look That's Just The Right Proportion. Top In Weathered Brown Oak Veneer. 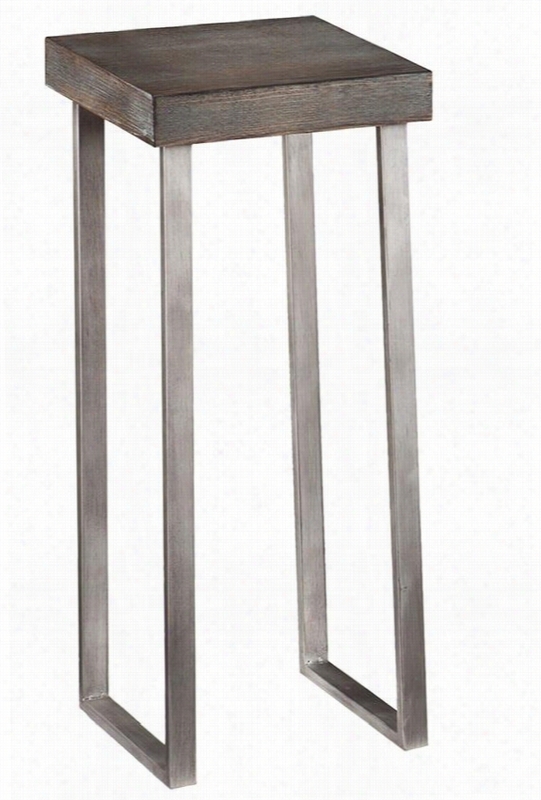 Metal Legs In Powder-Coated Silver Finish. Supports Up To 40 Lbs. Les Desserts Beaded Pedestal - Square, White. 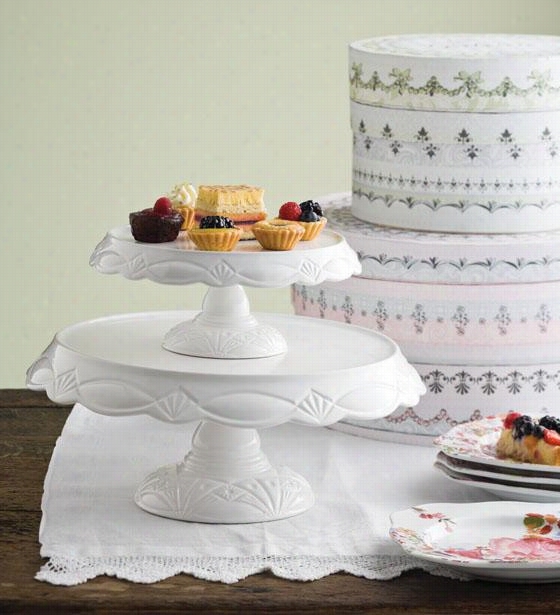 Les Desserts Beaded Pedestal - Serve Your Sweets And Delicacies On A Porcelain Pedestal - Inspired By Vintage American Milk Glass, Our Les Desserts Beaded Pedestal Is Classically Beautiful. 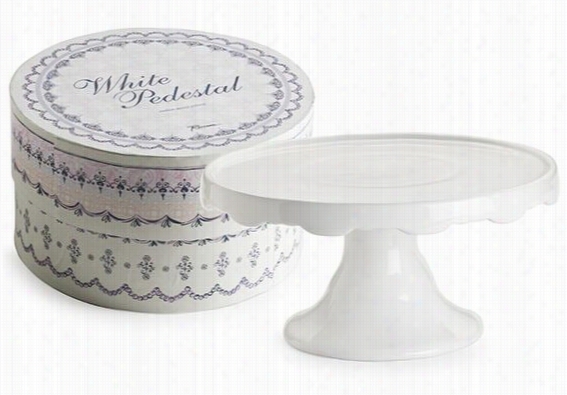 Use This White Pedestal As A Cup Cake Stand, Cake Stand Or Cake Pop Stand To Serve Guests Your Sweet Treats. This Porcelain Dish Is An Elegant Addition To Your Dinnerware. Hand Wash Only. Made Of Porcelain. Includes Gift Box. Scalloped Pedestal - 7.5"Hx10.5"Diameter, White. Scalloped Pedestal - Create An Exquisite Tabletop With A Porcelain Pedestal - Inspired By vintage American Milk Glass, Our Scalloped Pedestal Has A Traditional Design. Use This White Pedestal As A Cup Cake Stand Or Cake Pop Stand At A Child's Birthday Party Or A Cake Stand To Serve Your Sweet Treats During The Holidays. This Porcelain Dish Is An Elegant Addition To Your Dinnerware. Hand Wash Only. Made Of Porcelain. Includes Gift Box. Aloe In Glass Pedestal - 20"Hx12"Wx12"D, Green. 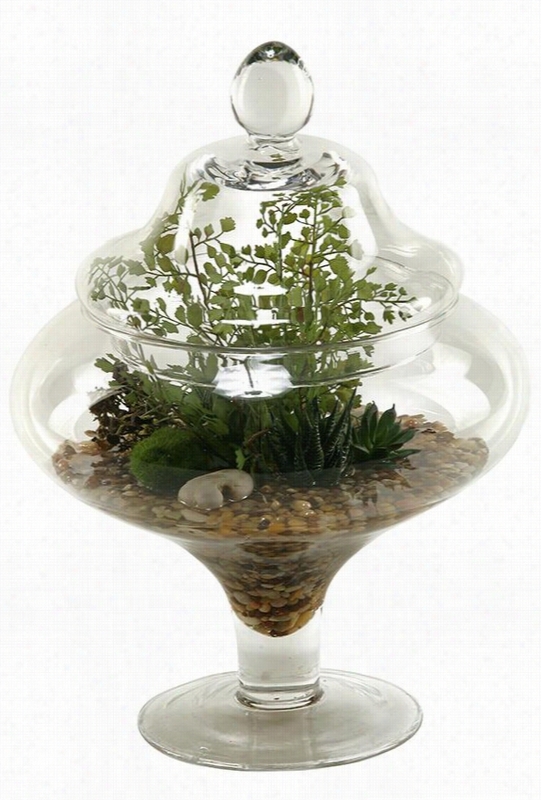 Aloe In Glass Pedestal - Artificial Plants Nestled In A Cozy Terrarium - It May Come As A Surprise That Our Aloe In Glass Pedestal Isn't Real. Rising From A Foundation Of Stones And Faux Water, This Artificial Aloe Appears To Be Growing And Thriving. This Elegant Arrangement Of Lifelike Faux Plants Comes In A Clear Glass Jar With A Lid. Clear Glass Jar With Lid. Lifelike Faux Fern And Aloe. Natural Wood Pedestal - Small, Ivory. 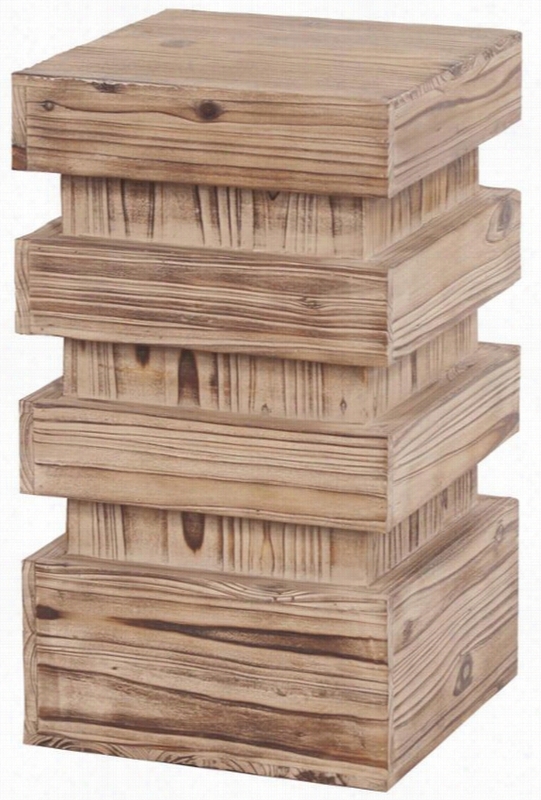 Natural Wood Pedestal - This Display Stand Will Spotlight Any Plant, Collectible Or Other Treasure - Our Natural Wood Pedestal Features A Blocky, Notched Profile And A Natural Finish That Shows Off The Grain Of The Solid Fir Wood Construction. This Organic Yet Modern Design Complements Home Decor Concepts From Cottage To Contemporary. Fir Wood In Natural Finish. Your Choice Of Size. Le Gateau Cake Pedestal - 5.5"Hx13.25"D, White. Le Gateau Cake Pedestal - Make A Place For A Le Gateau Cake Pedestal. - The Le Gateau Cake Pedestal Is A Modern Interpretation Of Iconic Cut-Glass Cake Plates Of 1920S America. The Pedestal Has Enough Integrity To Stand On Its Own, But It Also Works Wonderfully When Holding Cakes Or Hors D'oeuvres. Order Yours Now. Stoneware. White Finish.